1. What is the commodity self and commodity culture? Find an example of the commodity self or commodity culture used in a movie, a television ad or an internet ad. Explain the commodity culture that the ad/movie targets. The term "commodity self" implies an awareness that we are the sum of the products we employ. The commodity culture is when we have a brand and are impacted by a certain product... we have a relationship between the brand names, identity and ownership of the item. Dos Equis is a beer. The guy in the commercials is the "official" Dos Equis guy. When people drink this beer they feel like they are the most interesting guy in the world like the "Dos Equis guy. He travels the world, plays all different sports, he's very cultured, knows different languages.. he is the most interesting guy in the world. His playground is the world... and he does not always drink beer but when he does he drinks Dos Equis. These commercials with this guy shows that if you are interesting and full of life you will drink Dos Equis. This guy has become the symbol for this beer. 2. Marketing Coolness? 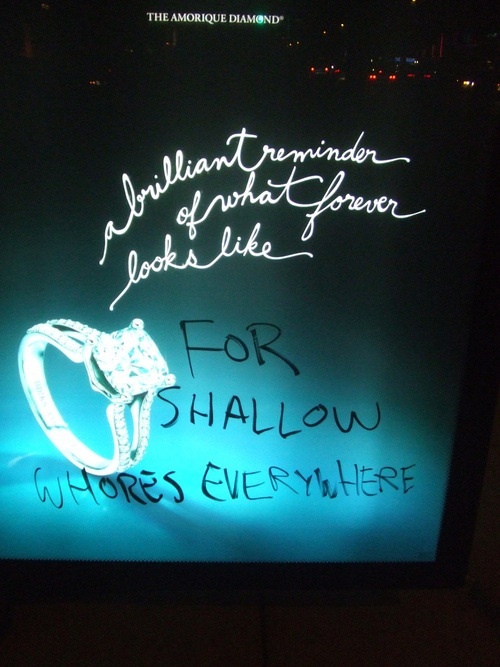 Find an example of an ad that uses a counterculture or anti-consumerism to sell it's product. Explain the approach of the example. Another ad we found would be the "I am a PC". This campaign was part of the PC marketing 2 years ago. They were trying to let you know everyday people and free thinking while still advertising. 3. What is an Anti-Ad? What is Culture Jamming? Find an example and explain the strategy of the ad. Anti-ad is when you are advertising different things all in one ad.. you are delivering mixed messages. Example the Bottled Water ad below. 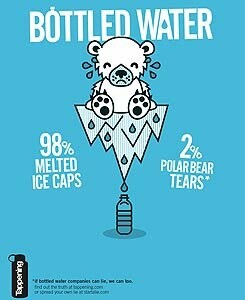 This is advertising that bottled water is bad. Cultur e Jamming is when something is added in the picture with some type of text to change the message. Example: the diamond picture.